NiConnect is a multi-institution project to build tools for clinical research with statistical analysis of brain functional connectivity. The project NiConnect arises from an increasing need of medical imaging tools to diagnose efficiently brain pathologies, such as neuro-degenerative and psychiatric diseases or lesions related to stroke. Brain imaging provides a non-invasive and widespread probe of various features of brain organization, that are then used to make an accurate diagnosis, assess brain rehabilitation, or make a prognostic on the chance of recovery of a patient. 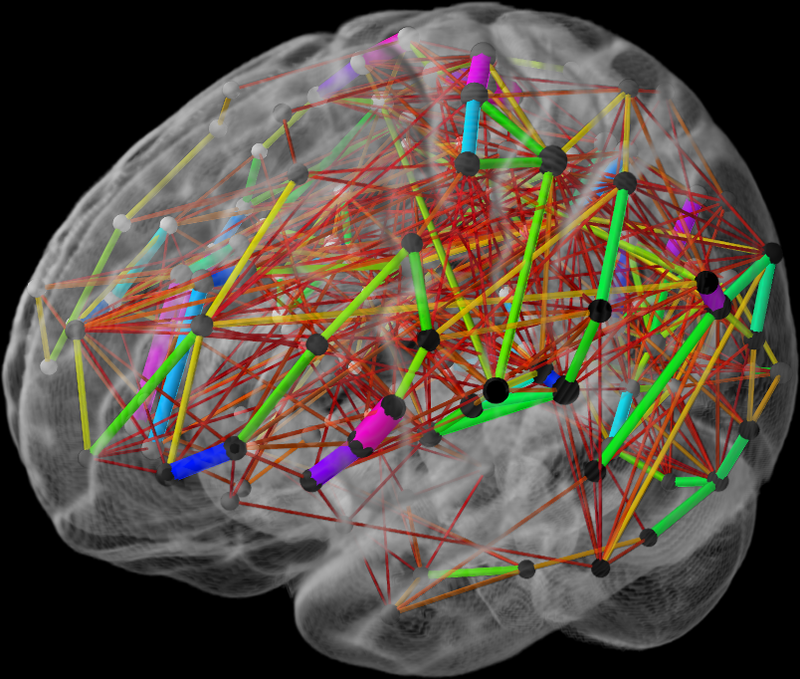 Among different measures extracted from brain imaging, functional connectivity is particularly attractive, as it readily probes the integrity of brain networks, considered as providing the most complete view on brain functional organization. To turn methods research into popular tool widely usable by non specialists, the NiConnect project puts specific emphasis on producing high-quality open-source software.NiConnect addresses the many data analysis tasks that extract relevant information from resting-state fMRI datasets. Specifically, the scientific difficulties are i) conducting proper validation of the models and tools, and ii)providing statistically controlled information to neuroscientists or medical doctors. More importantly, these procedures should be robust enough to perform analysis on limited quality data, as acquiring data on diseased populations is challenging and artifacts can hardly be controlled in clinical settings. In the scope of computer science and statistics, NiConnect will push forward algorithms and statistical models for brain functional connectivity. In particular, we are investigating structured and multi-task graphical models to learn high-dimensional multi-subject brain connectivity models, as well as spatially-informed sparse decompositions for segmenting structured from brain imaging. With regards to neuroimaging methods development, NiConnect will provide systematic comparisons and evaluations of connectivity biomarkers and a software library embedding best-performing state-of-the-art approaches. Finally, with regards to medical applications, the NiConnect project will also play a support role in on going medical studies and clinical trials on neurodegenerative diseases.